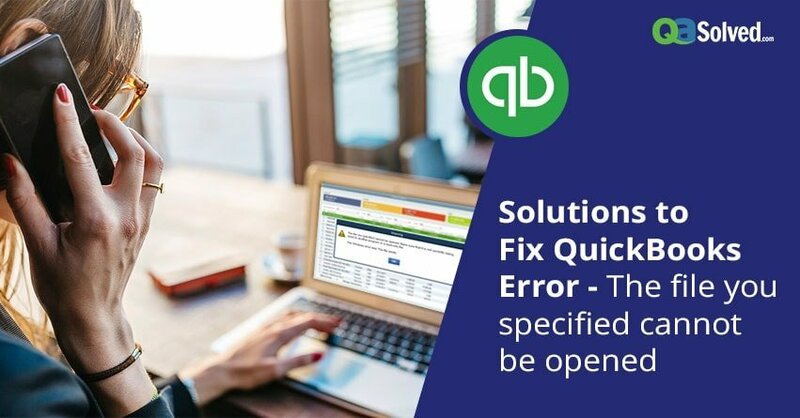 Solution for QuickBooks Error - "The file you specified cannot be opened"
The QuickBooks Error – “The file you specified cannot be opened” might leave you perplexed while you are in between something important. Though, you do not have any need to be perplexed anymore because the following article will give an answer to all your dilemmas about the error, its causing elements apt for future precautionary steps, and solutions. The file is open on another server. The file is corrupt or damage. Your server has been attacked by malware. You are using a non-administrator account of the Windows. The QuickBooks isn’t properly installed. Windows or QuickBooks Update is incomplete or has failed. Inadequate credentials and permissions provided by the administrator. How to fix the error “the file you specified cannot be opened”?? Check if the file is open on another server. Check if the QuickBooks file is damaged (discussed in detail in solution 2). Scan your system with the help of virus and threat protection or your anti-virus software. Check if you are using an administrator account. Check if the QuickBooks and the Windows are up-to-date and properly installed. Download the QuickBooks file repair doctor application/tool using your internet browser. Run once the download has completed successfully. After the QuickBooks file repair doctor which it will prompt you to select the error causing file, it will leave you with two options that are if you’d like to repair the file in an updated version or in the current version. 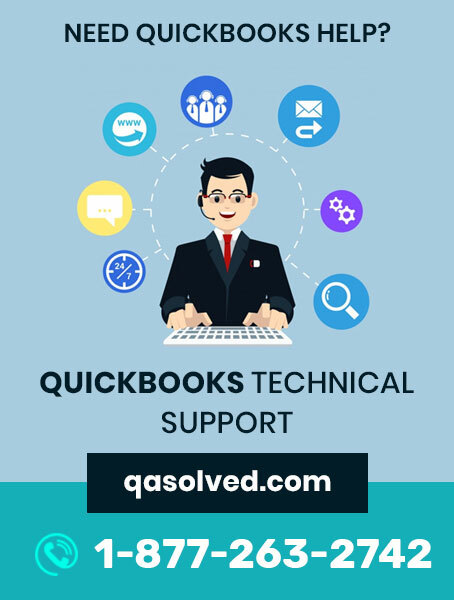 If not accomplished successfully, there might be an error with the QuickBooks or one more error mentioned in solution 1. Create a sample file save it and try opening it. If the error continues to appear move on to the next solution. Go to start > Search Control Panel > Security and firewall settings. Change security level to medium, if no change observes switch to low for time being and restart your computer. Whitelist QuickBooks and its QuickBooks Database manager in your firewall and anti-virus software. If nothing works, switch the firewall and anti-virus security off for a while and if still the error persists move on to the next solution. Go to Start > Control Panel > Programs > Modify/Uninstall > you can either choose to completely uninstall the QuickBooks or modify its settings and repair it depending on the situation. Hopefully, the above solutions will prove out to be a holy grail for you if not, you know what to do. If, you are still in a dilemma of getting rid of QuickBooks Error – “The file you specified cannot be opened” while its stuck in your mind and to your files then worry not as the QuickBooks help desk number 1-877-263-2742 is just a call away. You ever feel the need of taking advice from your fellow business owners that happened to be our existing subscribers, you can visit our thriving QuickBooks Community. It has numerous answered questions that could lead to resolving many of your QuickBooks related problems.